Niceties aside, this latest snafu involving Palin and the national party apparatus has left both sides deeply irritated. Sarah Palin’s on-again, off-again appearance at Monday night’s gala GOP fundraising dinner is off — again. After being invited — for a second time — to speak to the annual joint fundraiser for the National Republican Congressional Committee and the National Republican Senatorial Committee, Palin was told abruptly Saturday night that she would not be allowed to address the thousands of Republicans there after all. The Alaska governor may now skip the dinner altogether, and her allies are miffed at what they see as a slight from the congressional wing of the Republican Party. The reason given for the snub, said a Palin aide, was that NRCC Chairman Pete Sessions was concerned about not wanting to upstage former House Speaker Newt Gingrich, the fundraising gala’s keynote speaker. The disinvitation from speaking, said a campaign committee official, was done “out of respect” for Gingrich. “You dance with the one who brung ya,” said the official, who stressed that event organizers were still happy to have Palin appear and be introduced. 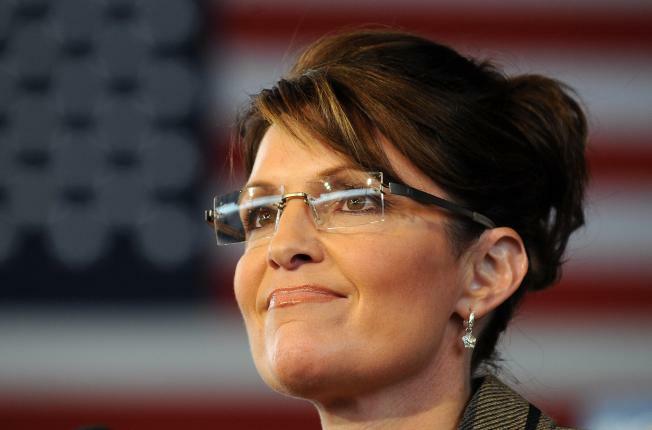 Ironically, Palin was originally supposed to be the headliner for the dinner. NRCC Chairman Pete Sessions of Texas wanted the 2008 Republican vice presidential nominee to speak. And officials with the two party committees thought earlier this spring that she had committed, even going so far as to issue a press release announcing her appearance. But after public uncertainty as to whether she had actually accepted and would attend, the NRSC and NRCC decided to invite Gingrich instead. Palin aides in Alaska say the governor never accepted that first invitation and attributed the mix-up to Washington-based advisers. But then last week — in part due to the urging of Republican überfundraiser and Palin friend Fred Malek — the NRSC extended a new invitation for Palin to speak. The plan, Republican sources say, was to make her appearance something of a surprise for GOP donors in attendance. Palin was in New York this weekend on a mix of state and personal business — she celebrated the 50th anniversary of Alaska statehood Saturday at a large celebration in Auburn, N.Y., the hometown of William Seward of “Seward’s Folly” fame — and the idea was that she’d swing down to the capital on Monday for the dinner before flying on to Texas for energy-related events. 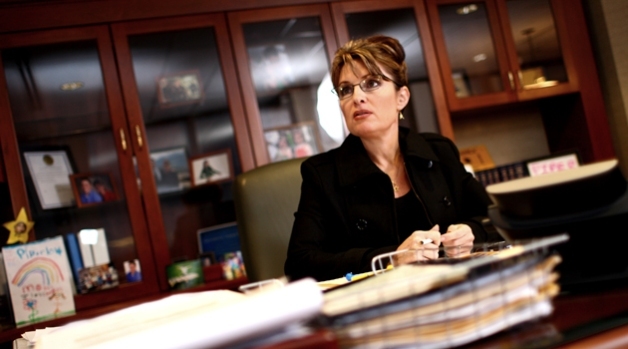 Palin’s staff had even been sent an agenda with the governor’s speaking slot included. But then a finance official with the NRSC called Palin aide Meg Stapleton Saturday night to say that Sessions didn’t want Palin to speak. Palin was to sit the table of NRSC Chairman John Cornyn of Texas, and Senate campaign committee officials were still trying Sunday to persuade the Alaska governor to attend. Malek, for decades a major behind-the-scenes player in the GOP, made note of his disappointment that Palin was not coming. Tired of being derided as the gang that couldn’t shoot straight, Palin officials want it known that they were not responsible for this latest mix-up. They say the governor was happy to appear and fire up party loyalists, but that, yet again, GOP operatives and officials in Washington would just as soon try to marginalize her. But the dinner’s planners are equally exasperated with Palin. The NRCC, especially, is still irked about how she handled the original invitation in March, leaving the two committees scrambling to find a fill-in for what is their chief money-raising event of the year. It was Cornyn’s decision to move on and invite Gingrich, say House Republican officials, and his attempts to still bring her to the dinner are being seen by some as an effort to make amends with conservative activists who are miffed at him now in part because of his intervention on behalf of the more moderate candidate in the Florida GOP Senate primary. But beyond one scheduling issue, this latest dust-up speaks to the ongoing turmoil within a beleaguered GOP. Palin is still a major draw — hence her original invitation — and many in the grass roots of the party think she’s got incomparable charisma and just-folks appeal. As Palin appeared in Auburn and elsewhere in Central New York this weekend, locals and even some who’d traveled long distances to see her encouraged her to mount a White House bid. But many in the party establishment, mindful of her polarizing persona and the devastating caricatures that emerged last fall, would prefer she remain in Alaska and leave the party rebuilding to others who may appeal to the broad middle of the country.